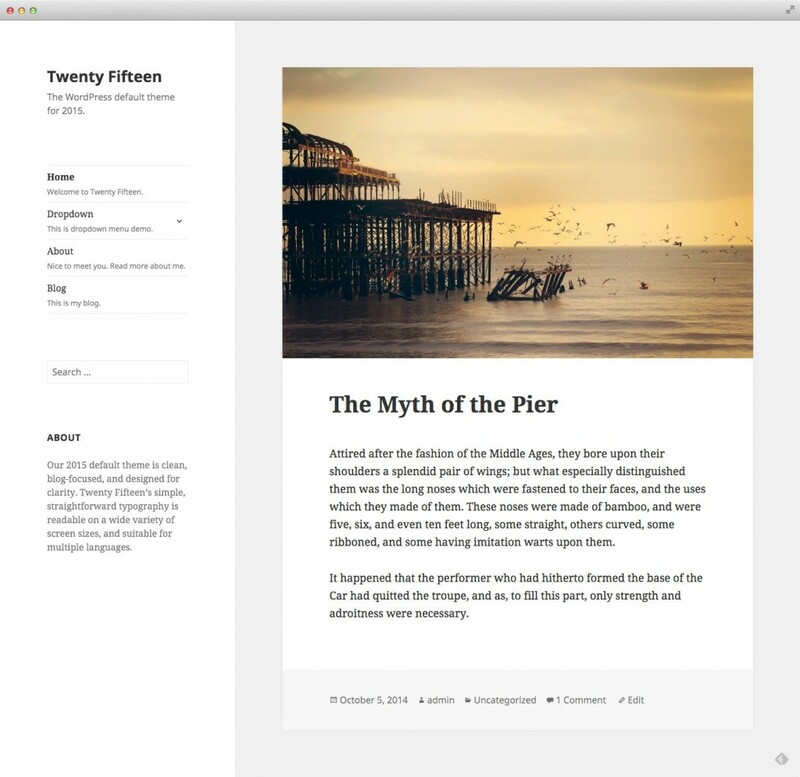 With r29892 the first pass at our new default theme, Twenty Fifteen, is in core. While a lot of hard work has gone into it already it won’t be complete without your help. Check it out and do your best to twist it, bend it, and break it everywhere you can — especially on your favourite and least favourite mobile devices. Every tester, and every ticket, helps get us closer to an amazing theme for 2015. If you’d like to help out with fixing some of those bugs in all those tickets, patches welcome. 🙂 And we’ll be going over everything Twenty Fifteen in IRC, every Tuesday at 15:30 UTC, in #wordpress-dev. Come hang out with us and squash some bugs. I love how wide a scope of focus WordCamp allows for speakers (from business, design theory in general, user experience for anything trackable, to how to find happiness in general while having a Web-centered career like being a WordPress developer). Right down to the outliers of areas that WordPress knows it needs to grow and incorporate into it’s focus (as mentioned before, like better design, user experience, simplicity in the backend of a growingly complex system). A panel meeting between both designers and developers to help learn how to better communicate workflows, needs, and concerns to improve the working relationship between both. On a personal level, because I’ve been WordPress focused for almost a decade now (even to the point of losing out on job opportunities because of it), it’s now especially great to see local digital marketing firms in the Muskegon area (where I am from), like Revel Marketing and RCP Marketing begin to embrace the WordPress platform. There’s something great to be said about local communities growing together. And if WordPress can help facilitate that – it’s just one more example of how great the Open Source philosophy is. Two days of WordCamp in Grand Rapids. Learning so much. And the one constant about WordCamp every year is that while all of this awesome is going on at your local meetup, there are hundreds of others going on across the globe. So here’s to many many more to come and to growing together as a worldwide community! 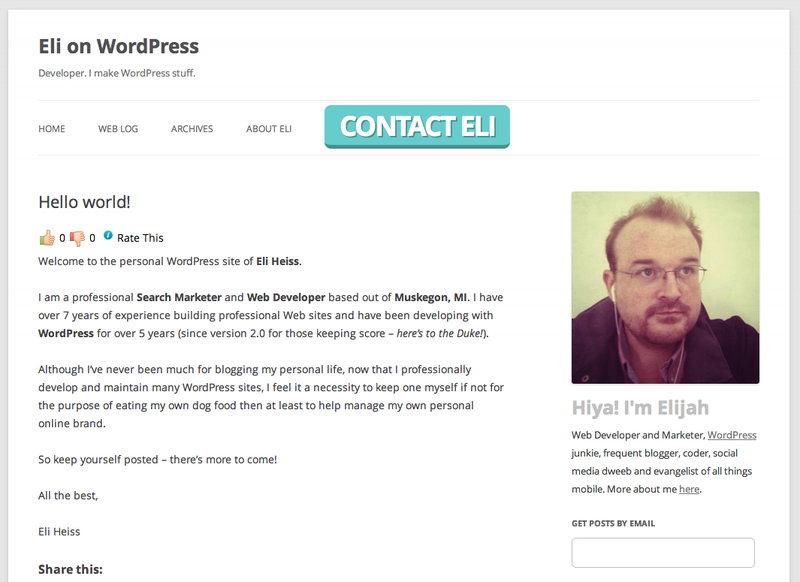 This July 25th marks the 3rd year of me eating my own dog food as a WordPress developer. I intentionally kept my first post, the “Hello world” post every WordPress blog has as an introduction into blogging. Reddit’s popular Ask Me Anything (AMA) series is an open forum between notable personalities and their users. Matt Mullenweg, WordPress co-founding developer and Automattic’s CEO & President, hosted a question & answer session several months ago. Here, we’ve excerpted some of the most interesting questions and answers as they pertain to WordPress core, WordPress.com, and other Automattic products. Questions have been slightly modified to isolate the question. Original AMA thread here. Test your knowledge with the WP Game Show. From the organizers of WordCamp Detroit, 2011.